Creating good flow – in other words a successful open plan layout that looks as good as it is practical – takes some skill and plenty of planning. 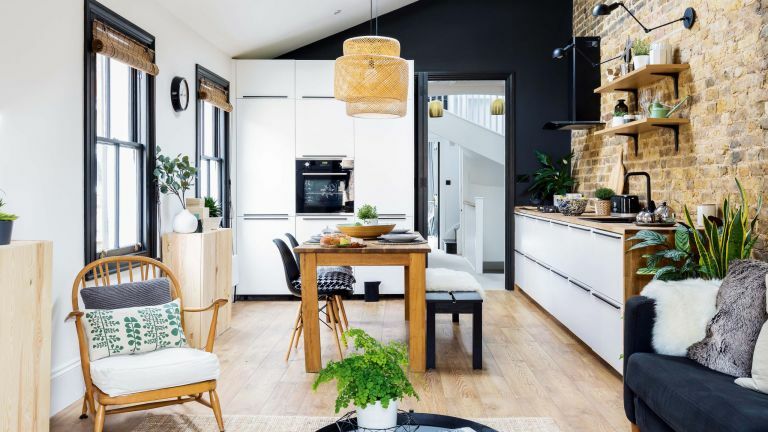 Here, architectural designer Greg Toon from Potential etc tells us how to establish a logical layout with good connection between spaces in order to help you create good flow in your open plan layout and a well-thought-out home that works exactly how you want it to. Our guide to how to design an open plan kitchen is the perfect accompaniment to this feature if you're looking to create flow in your kitchen. Alternatively, our guide to how to renovate a house is full of advice and inspiration if you're taking on a larger project. What is 'flow' in house design? ‘Flow’ operates in two main ways: the position of rooms and their relationship to each other, and the detail of how a room is laid out in terms of doors, windows and furniture, including fitted solutions such as kitchens and bathrooms. For design success, think about your ‘route’ through the whole house and each space early, as these decisions will be reflected in the final plans. Our guide to how to create an open plan layout in an old home is a handy read that can help you achieve your desired finish. As open plan or partially broken-plan living continues to be popular, flow is now more critical that ever. Not only is it important to ensure a space is suited to its purpose, it’s a good idea to think about how this area flows from outside in and vice versa, often through large windows or bi-fold doors. Remember, good flow is compromised when something awkward interrupts the openness of a space – a kitchen island or a sofa that blocks a route to the rear doors, for instance. The same applies if you decide to keep individual rooms separate: make sure you position spaces that make sense for you. For example, avoid putting utility rooms in a prime position, as while it’s great when one has an exterior door, you shouldn’t include this at the expense of sacrificing a connection to the garden from the kitchen, dining and living areas. Site these rooms in the best locations and make sure those that function as a pair – dining room and kitchen – are not too distant. The term ‘flow’ also encompasses other areas, too, such as hallways, staircases and landings. Many designers may try to design-out corridors as a waste of space, but when they are necessary, try to avoid corners and use a comfortable width. Go for a glazed door at the end of the corridor to give a sense of the room beyond, so the passage appears as part of the whole space and not a stand-alone area. Our guide to how to design a hallway offers plenty more tips and tricks, many of which can be applied to a home with an open plan design. Always consider furniture layouts during the early design stages. While a plan doesn’t have to be fixed, it is good to have an idea for a layout that works from the off. Ignoring furniture placement is a recipe for disaster – you may end up with a room that has family members traipsing through the sitting areas to get to the kitchen, or that makes watching TV awkward. Moreover, kitchen or bedroom entrances that open onto the end of cabinetry or a wardrobe contribute to clunky flow and are best avoided. Try to minimise the need to change direction when walking around a property, or if you do need to, consider a curved wall to guide you through in an organic way. Building regulations can play a restrictive part in the flow of a house. A three-storey home, perhaps with a loft conversion, always needs a ‘protected route’ from the top floor to an external exit to use in case of an emergency, so fire-rated doors are required for all rooms as well as a corridor – consider fire-rated, glazed doors so a space doesn’t feel too enclosed. In general, doors are an interesting part of the flow principle. A closed door acts as a pause point when moving around a house, so consider sliding pocket doors as a compromise, which can be closed or hidden within a recess when you want the feeling of openness – great for wide openings. Our building regulations explained feature is designed to help you discover if your home improvement project required building approval.